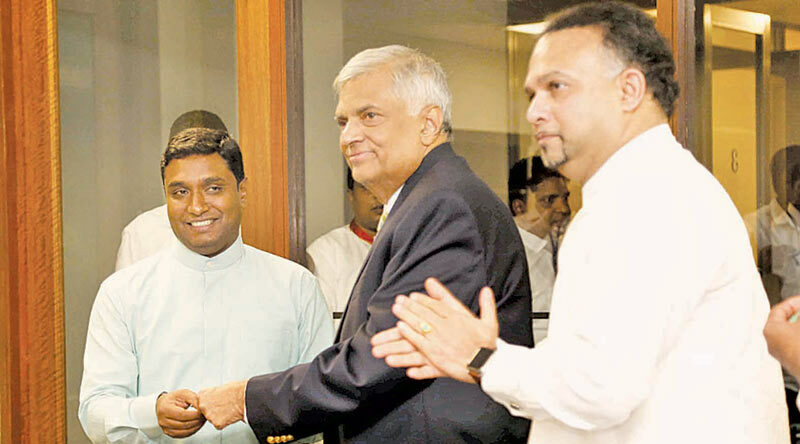 Prime Minister Ranil Wickremesinghe presents UNP membership to Ashoka Sepala. Lindula Urban Council Chairman Ashoka Sepala (Independent) obtained membership in the United National Party from Prime Minister Ranil Wickremesinghe, at the Parliamentary complex yesterday. Sepala worked tirelessly for the victory of the Sri Lanka Podujana Peramuna in the Nuwara Eliya district, though he failed to secure nomination from the party to contest the last Local Government Elections. He therefore decided to contest the last Local Government Elections independently. Plantation Industries Minister Navin Dissanayake and Nuwara Eliya Mayor Chandralal Karunaratne were present.